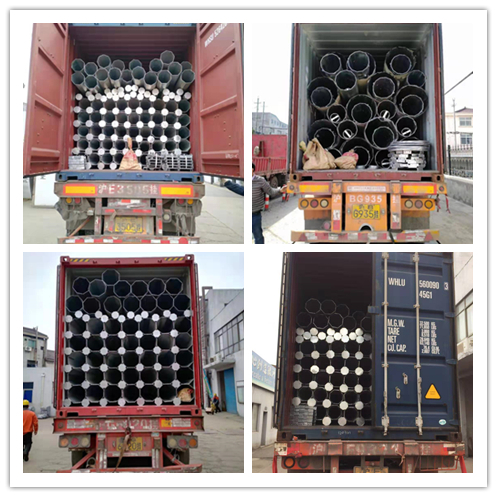 Because of the long and thin shape,closed polygonal section and apply of high strength steel material,these steel poles have excellent durability.they can withstand the extreme condition,such as the frost climate,unbalanced loads, or breaking of wire. 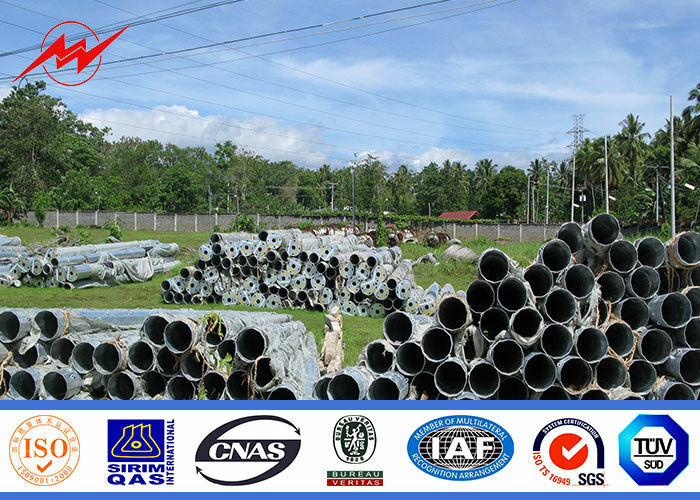 The designing weight of the steel poles are usually relatively light ,and is good for the operation,transportation,assemble and installation. 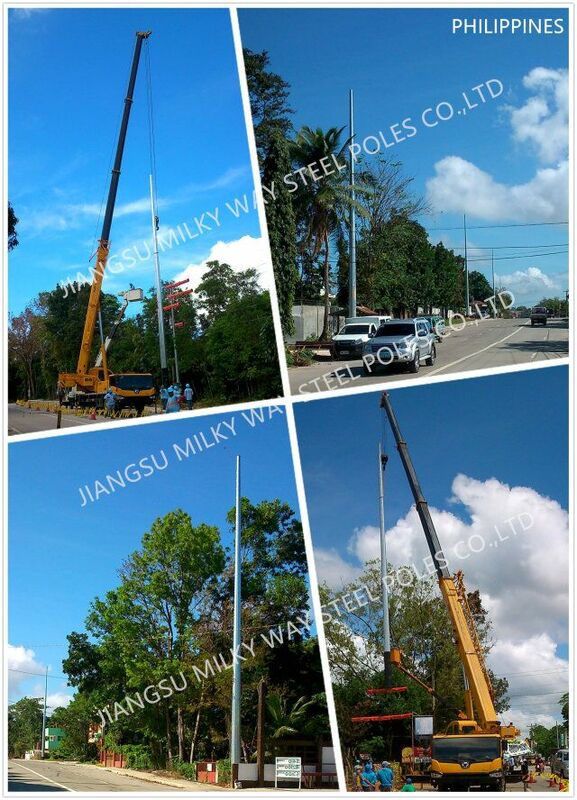 Since the long and thin straight line shape.the steel pole from Milkyway Steel Poles are easily intergrated into the landscape.At the protected areas(mountains),the installation of steel pole will not influence the aesthetic solution of the scenic spot. 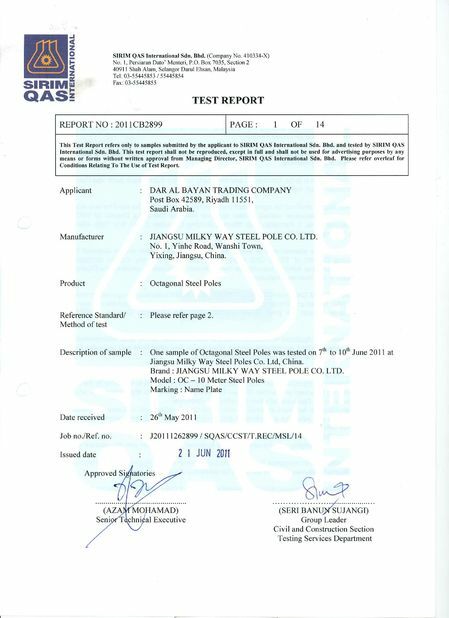 The hot dip galvanization trearment can increase the service life of the steel polewithout the environmental pollution and no need for other daily maintance.The following described types are specially designed for Africa Market which can meet the regulated height and load standard of France electricity power company. 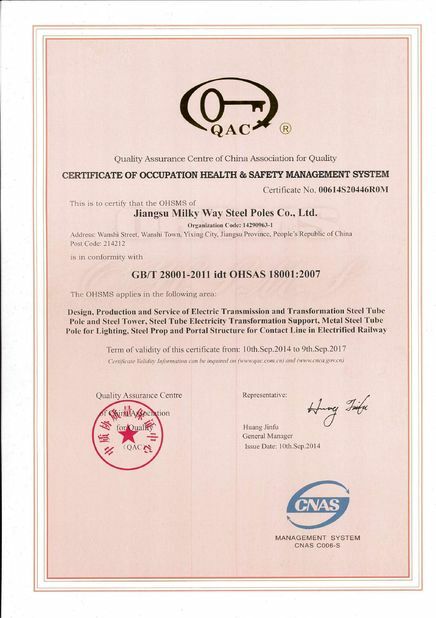 our steel pole is bend to form to the polygonal(conical) section firstly.Then it is welded by the automatic submerged-arc welding machine.Thirdly the top cap,strip and base plate will be welded to the pole.And finally other accessories (support brackets ,ladder support,etc. 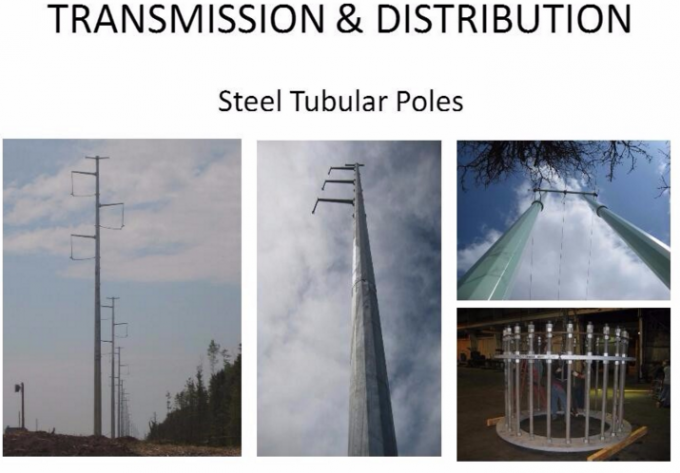 )will be welded to the pole shaft.